Representative persons of night club Pepermint and Organizational board of Jarun cup arranged all details concerning the official players party. On the meeting it was arranged that the players party will be held on Saturday evening (2./3.5.2015. 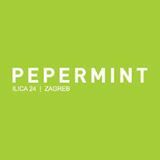 )from 24:00 in Pepermint night club (Ilica 24).The free entrance, as well as welcome drink and promotional prices of drinks are ensured for all tournament participants. With Pepermint night club, the opening of the outdoor beach handball season will guarantee great fun, and pleasent atmosphere. More info about the night club you may find HERE.